Gabrielle Designs was started in Doncaster by Shirley Clarkson from her home in Doncaster, England. She was originally commissioned to design some tea cosys by a local shop, which she fashioned to look like cockerels. These proved popular and in 1971, using her middle name as inspiration, 'Gabrielle' Designs was born. As their beautiful range of eclectic products grew from tea cosys and aprons to draught excluders and lamp shades, so did her business and before long Shirley Clarkson was running a small cottage industry from her home in Doncaster. As a gift for her children Shirley would lovingly craft that year's toy of choice, having recently read and loved Michael Bond's new book about a 'delightful little bear called Paddington' with illustrations by Peggy Fortnum. Shirley knew at once that was to be this year's toy. Not only that but once the first bear had been put together from studying Fortnum's original drawings, she knew it was going to be a Gabrielle product. After some negotiations with lawyers representing Michael Bond Gabrielle Designs was granted the first licence to manufacture a Paddington Bear soft toy. Original illustrations by Peggy Fortnum, on which Shirley Clarkson based the Gabrielle Designs bears. 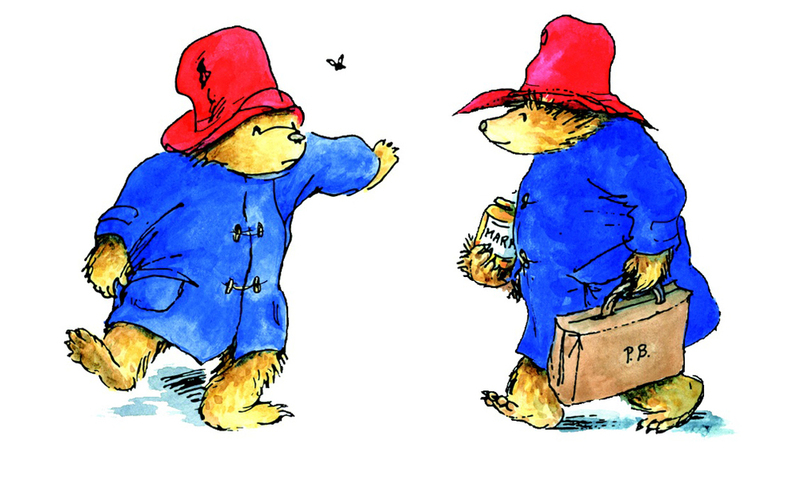 Michael Bond was very taken by the bear, and so Gabrielle Designs Paddington products were born. Michael formed a lasting friendship with the Clarksons, and actually wrote about Paddington’s acquisition of his wellington boots in his next book to suit the design strategy. Well, Paddington needed wellington boots to stand up on the shelves and in displays didn't he? 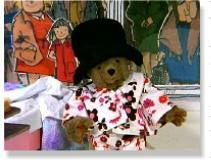 Later in 1980 "Rugby" playing Paddington Bear was introduced and could be purchased in all the team colours of the day.